﻿ How Good are the Racers? 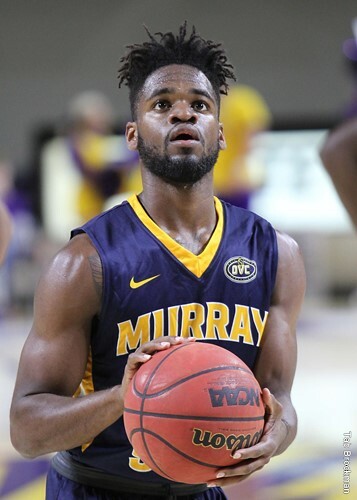 The Murray State Racers are off to an impressive 9-3 start, their best since the 2012-13 season. And at times they look very impressive, especially on the offensive end. So, just how good are they? And how good can they be by the end of the season? Heading into tonight's game, they are ranked #102 in the Massey Ratings, second in the Ohio Valley Conference. They lead the OVC in scoring at 81.8 points per game, nearly three points better than Tennessee Tech in second. And they are second in points allowed, right behind Jacksonville State. They are also holding opponents to just 39.1 percent shooting from the field, second best in the league. Jonathan Stark and Terrell Miller are third and fourth in the OVC in scoring. Ja Morant leads the league in assists and his assist-to-turnover ratio is an insane 3.7-1. And no one in the league can match the 1-2-3-4 scoring punch of Stark (16.7), Miller (16.6), Shaq Buchanan (12.0), and Morant (11.9). Okay, how good can they be? They are beating the OVC's also rans by huge margins, just like the 2011-12 team did. They crushed Eastern Illinois 80-52 on Thursday night and then tonight they dusted Edwardsville 87-63. And their 78-72 victory over #108 Illinois State compares favorably to the 2012 team's 70-67 victory over #135 San Francisco and its 62-55 victory over #131 UAB. The difference so far has been the way the two teams handled top 100 opponents. The 2012 team beat #70 Southern Mississippi 90-81. They beat #84 Dayton 75-58. They beat #26 Memphis 76-72. And they beat #29 St. Mary's 65-51. This year's team lost to #57 Middle Tennessee 72-67. And they lost to #26 Auburn 81-77. They have one game left against a top-100 team, #79 Belmont on January 18 in Nashville. Let's take it position by position. Aska was far more experienced and was far more versatile on offense. There really isn't any comparison. Miller is much better at the offensive end and he's also a better rebounder. Daniel was a better defender and he had a knack for drawing fouls on opposing players. But Miller is the better player. Poole was a little better than Buchanan is right now. But, Buchanan has time to get better. Their secondary numbers are strikingly similar. Again, this really isn't close. Stark is much better offensively and if you go by the numbers they are close defensively. It's astounding that this is as close as it is. Canaan was the better scorer. But Morant is better in virtually every other aspect of the game. So, at this point I think you'd probably have to say the 2012 team was a little better. But it's close enough, and this year's team has enough room for growth, that by season's end who knows?